Buy home accessories wholesale at lowest price. We carry good quality home accessories including bath accessories, bathroom decor, kitchen accessories and many similar items. 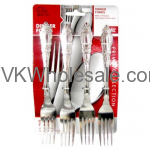 Minimum quantity for "4 PCS Dinner Forks" is 12. 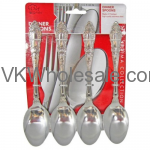 Minimum quantity for "4 PCS Dinner Spoons" is 12. Minimum quantity for "40PC Barbeque / Fire Place Matches" is 12. 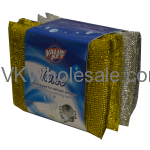 Minimum quantity for "4PC Scrubbing Pad Silver/Gold" is 24. 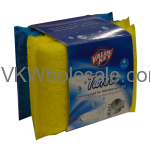 Minimum quantity for "4PC Scrubbing Pad Yellow/Blue" is 24. 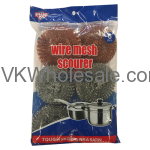 Minimum quantity for "6 PC Galvanized & Copper Coated Wire Mesh Scourer" is 24. 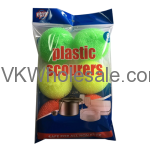 Minimum quantity for "6 PC Plastic Mesh Scourer" is 24. 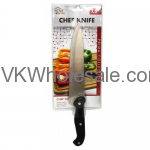 Minimum quantity for "7.5" Chef Knife" is 12. 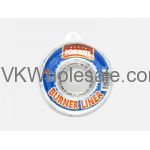 Minimum quantity for "8 PK Round Aluminum Burner Liner" is 12. 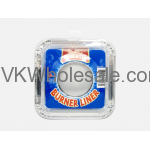 Minimum quantity for "8 PK Square Aluminum Burner Liner" is 12. 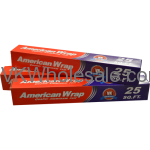 Minimum quantity for "Aluminum Foil 25 Square Feet 1ct" is 24. 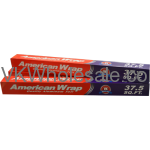 Minimum quantity for "Aluminum Foil 37.5 Square Feet1ct" is 24.